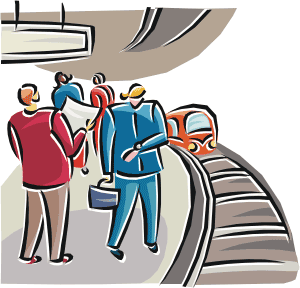 Heavy rail is most often referred to as the subway or the metro though it can also be elevated. Power in a heavy rail system is generated by a third rail along the tracks and thus it is a safety hazard to put such a system at grade. Heavy rail is typically seen in higher population and higher density cities where large quantities of passengers need to be transported quickly without any interference from traffic or any other forms of transit. Stops for heavy rail lines are typically further apart than those of other systems allowing for much higher speeds of travel. Heavy rail is the most expensive form of mass transit available due to the cost of tunneling or elevated supports needed for such a system. Heavy rail has been in operation since the late 19th century and continues to be the defacto form of transit for many cities around the world. Cities such as New York and Tokyo would simply ground to a halt without these systems which justify the high cost for implementation and maintenance.